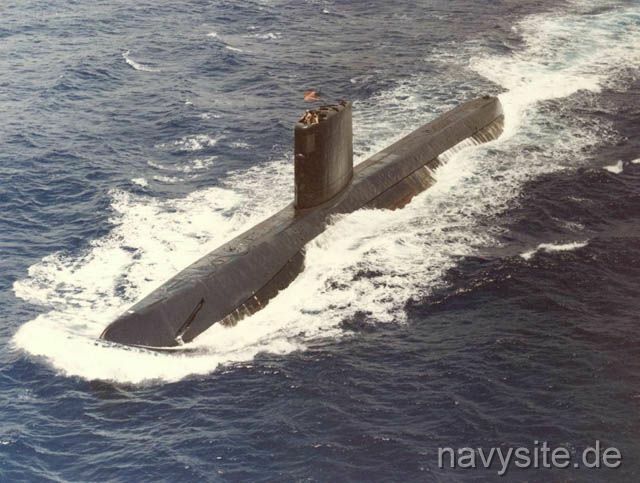 USS SARGO was the third SKATE - class nuclear-powered attack submarine and the second ship in the Navy to bear the name. 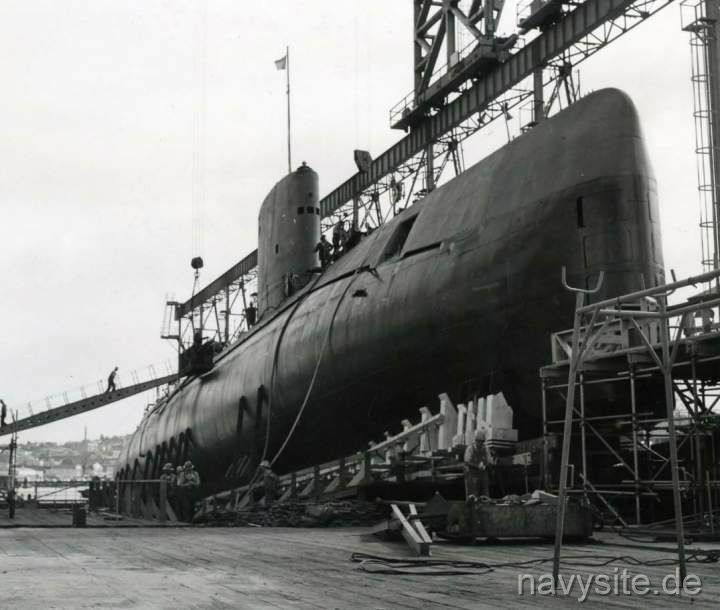 Deactivated on February 26, 1988, and stricken from the Navy list on April 21, 1988, the SARGO spent the following years at the Puget Sound Naval Shipyard at Bremerton, Wash., awaiting to be disposed of through the Navy’s Nuclear Powered Surface Ship and Submarine Recycling Program. The SARGO entered the Recycling Program on April 14, 1994, and finished it on April 5, 1995. This section contains the names of sailors who served aboard USS SARGO. It is no official listing but contains the names of sailors who submitted their information. 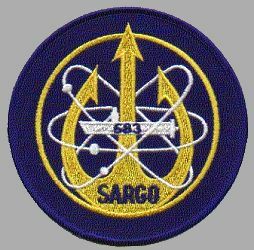 Click here to see which USS SARGO memorabilia are currently for sale on ebay. June 14, 1960 Pearl Harbor, Hi. USS SARGO suffers an explosion and fire in her aft end while docked at Pearl Harbor. The fire starts from a leak in a high-pressure line that was pumping oxygen aboard. The explosion occurs a few moments later. When dock units and boats are unable to bring the fire under control quickly, officers take the SARGO a short distance from the dock and submerge it with the stern hatch open to put out the blaze. The Navy says the ship's nuclear reactors were sealed off. and there was "absolutely no danger of an explosion from the reactor compartment." The submarine is extensively damaged and is drydocked taking three months to repair. The SARGO is the first nuclear ship in the Pacific Fleet and was scheduled to take the visiting King and Queen of Thailand on a cruise the next day. USS SARGO collides with an ice-keel during Ice Exercise '60 damaging her bow. The photo below shows the SARGO arriving at Pearl Harbor with her bow damage clearly visible. October 13, 1965 15 miles west of Oahu, Hi. 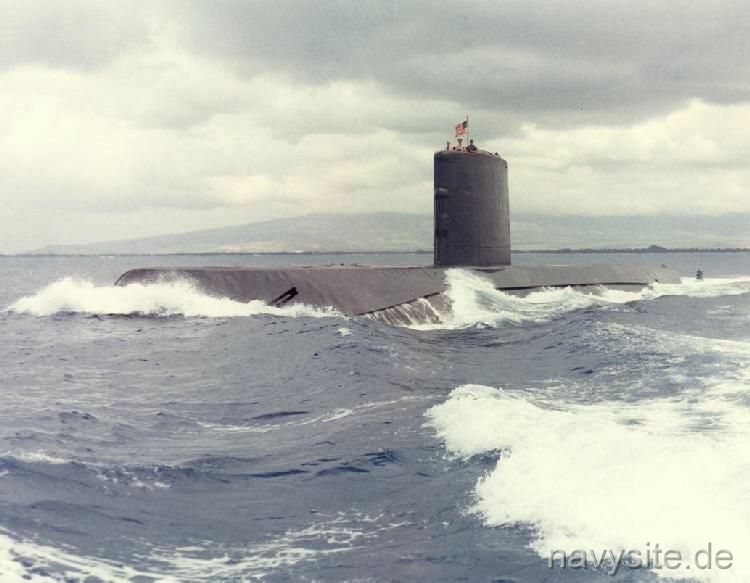 USS BARB (SSN 596) and the USS SARGO collide while on maneuvers in the Pacific. 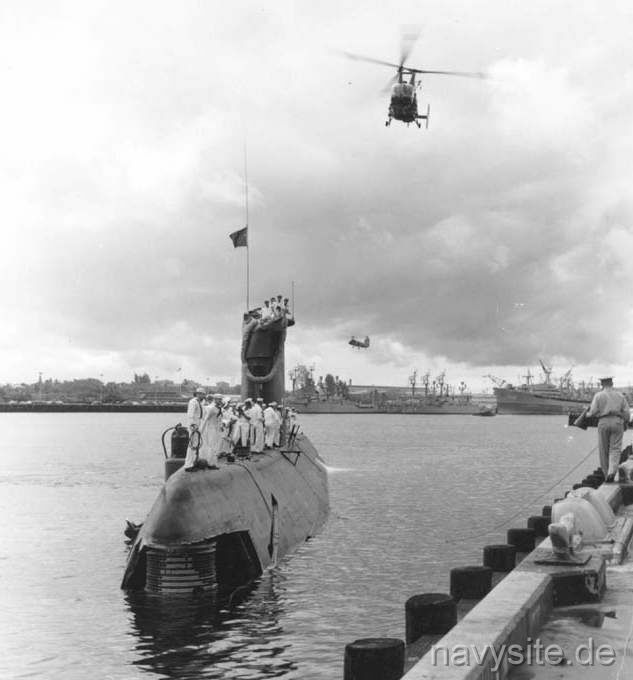 Minor damage resulted to the forward end of one submarine and to the mast and sail of the other one, but there were no injuries and both ships return to port unassisted.